The books of reference used for this study of the book of Deuteronomy were the Bible, King James Version, called "The Companion Bible", Publisher Kregel; Strong's Exhaustive Concordance of the Bible, numbered to the Hebrew, Chaldee, and Greek, and English, coded to the Strong's Concordance numbers. "Possession East of Jordan: Retrospective." "The Command by God to Moses and Israel [1-8]." "Appointing of Judges and Leaders [9-17]." "Cities of Refuge Severed [41-43]." "Injunctions on Entering into the Land." "Civil law, Judges Duties [2-13]." "Laws Ecclesiastical: The Levites [1-8]." "Civil Law, Persons, Manslayer (murder) [1-13]." "Witnesses, True and False [14-21]." "Persons, Marriage, Divorce, Remarriage [1-18]." "Lending, Harvest, and the Poor [19-22]." Chapter 25 "Punishment for Disobedience [1-3]." "Your Basket of Firstfruits [1-11]." "God's Command Concerning these Statutes [16-19]." "Gerizim and Ebal, the Arrangement of the Tribes [11-26]." "THE BLESSINGS AND THE CURSINGS." "The Blessings, for Obedience [1-14]." The Cursings, for Disobedience [15-68]." 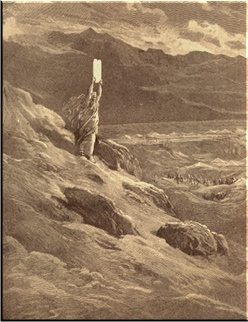 "Review of Wanderings, Plus Horeb (Sinai) [1-17]." "Injunctions on Dispersion, Prospective [18-29]." "Object,: That They May Choose [15-20]." "Possession west of Jordan [1-8]." "Laws Written and Read [9-13]." "Songs Written and Sung [14-30]." "The Blessings of the Tribes." "Joseph, Ephraim and Manasseh [13-17]." These studies may be shared in part for study or printed out in single copy for private study purposes provided the following is included with each and every excerpt or copy: "This Bible Study is written by Roger Christopherson, and it's transcription/ location is provided by http://www.theseason.org/plough.htm"